An elephant-shrew is a perfect example of an oxymoron mammal name. The name fuses the largest living land mammal with one of the smallest to refer to a completely unrelated animal. 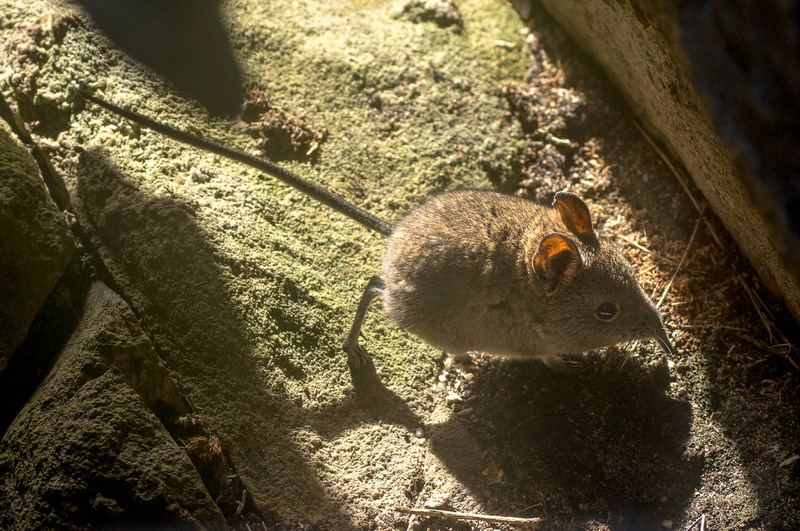 The Cape Rock Elephant-Shrew, Elephantulus edwardii, is shrew-like in general appearance, but like all elephant-shrews, it has the exceptionally long nose (or “trunk”) that has given them their common name. Elephant-shrews are certainly not elephants but neither are they shrews. 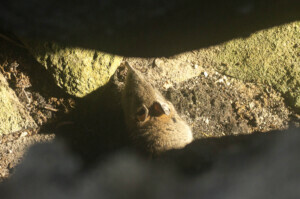 In fact, they are more closely related to elephants than shrews. 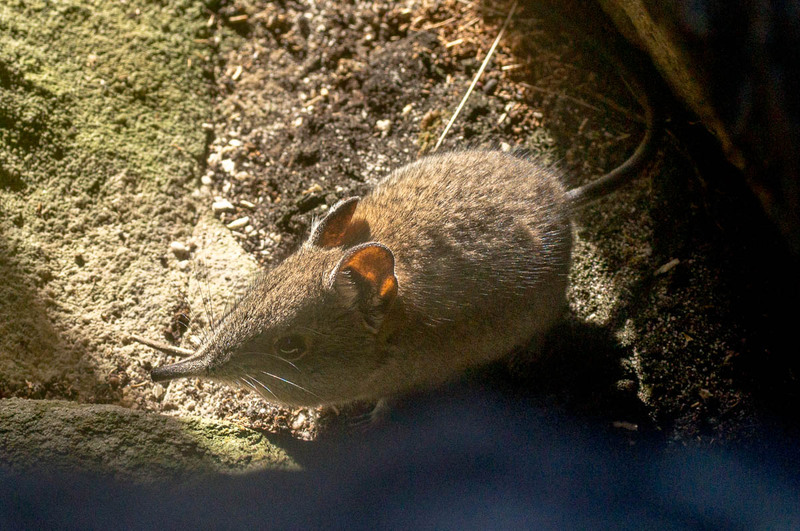 Shrews belong to the Insectivora (now refined as Eulipotyphla), whereas Elephant-Shrews belong to the Afrotheria, which include dassies, aardvarks and elephants. There have been recent moves to provide a new common name for “elephant shrews”. The name “Sengi” was coined in an attempt to show that it is neither an elephant nor a shrew. But this really misses the point of common names. The name sengi provides no hook for people to remember it by. It may be slightly easier to say than macroscelid (which is based on the scientific name for the order and refers to their hind limbs being longer than their forelimbs), but it is as unfamiliar and conjures up nothing of any help to those as yet unacquainted with the name. In contrast, elephant shrew may mislead people that it is some sort of shrew but it at least gives a strong mental image of a small mammal with a long nose that people can immediately relate to. We were excited to observe the Cape Rock Elephant-shrew, Elephantulus edwardii, up amongst the rocky crags on the steep slopes of Phillipskop. 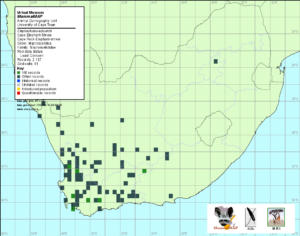 This is the first confirmed record of the species occurring in the Klein River Mountains. 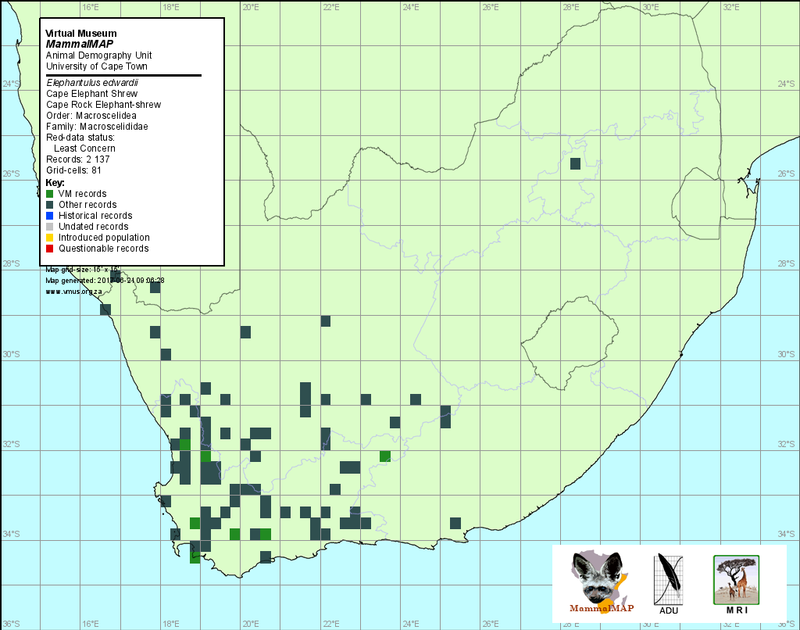 (The closest it has previously been recorded is the Kogelberg, Robertson area and near De Hoop.) Our son Joshua spotted it first, scuttling around some boulders. Although scared off initially, it kept on returning to the same spot to bask in the sunlight that shone into a crack in the rock. Because of its determination to warm itself, despite our proximity, we were able to get a short video of it, which perfectly captures its nose bobbing up and down as it sniffs the air: https://youtu.be/vPL79X-xZVg. Afrotheria, Cape Rock Elephant Shrew, Elephant-shrew, Elephantulus, June, Macroscelidea, mammal, Sengi, winter. Bookmark.